Art is derived from life, but it does not equal life. Art, from content to form, should be healthy and noble, bringing people spiritual strength and enjoyment of beauty. Xu Kuang studied art at the private Tao Xingzhi Academy of Arts in Shanghai between 1951 and 1954 and then entered the Middle School attached to the Central Academy of Fine Arts in Beijing, where he learnt socialist realist theory and Soviet style drawing and painting. He was sent to Chongqing in 1958 as a Rightist and later primarily worked as a professional artist in the Sichuan Artists’ Association for nearly four decades. He brings realistic chiaroscuro drawing style into his woodcut technique, which produces subtle tones, whilst the overall form has a sculptural quality. 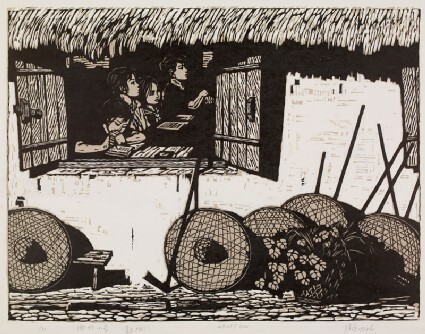 His favourite subjects are mostly Tibetan or Yi ethnic minorities, and his work won many prizes in official exhibitions during the 1970s and 1980s. 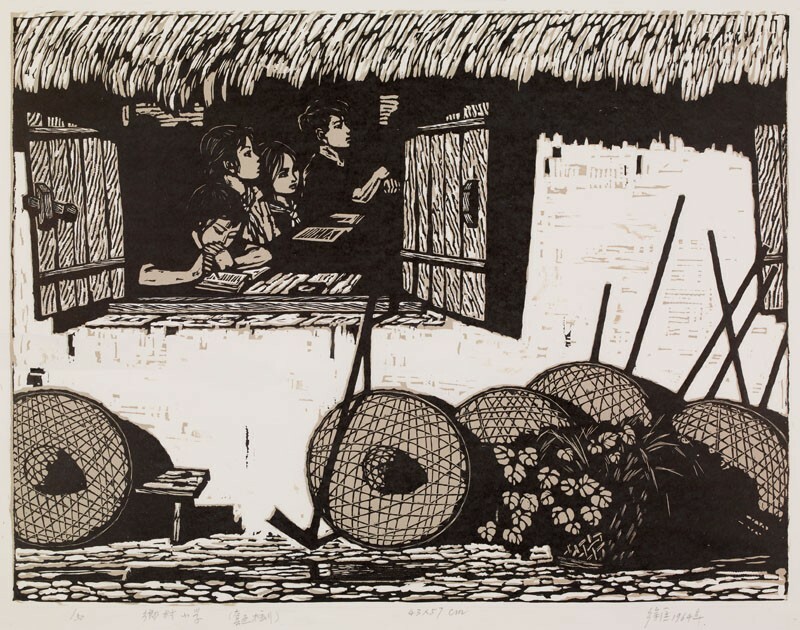 In this print, the artist depicts village school children listening in a class. The hoes and bamboo hats in the sunshine outside indicate that school children also take part in agricultural work for the state farm. Xu Kuang was sent to Chongqing in 1958 as an anti-socialist ‘rightist’ and later primarily worked as a professional artist in Sichuan Artists’ Association. 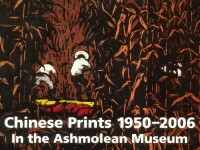 Xu has been regarded as a key figure in the Sichuan School of printmaking, specializing in monochrome print.